The curse of the blue diamond has struck Thailand once again. The tortuous two-decade saga of theft, deception, incompetence, corruption and murder burst back into the spotlight this month, doing renewed damage to Thailand’s economy, its relations with Middle Eastern countries, and prospects for reconciliation in its troubled mainly-Muslim southern provinces. It is a story that reveals a great deal about the unbridled corruption of the Royal Thai Police, the weakness of Prime Minister Abhisit Vejjajiva in the face of powerful entrenched vested interests, and the ham-fisted approach of many Thai officials when trying to defuse a crisis. The tale begins in 1989 when Kriangkrai Techamong, a Thai janitor working in one of the palaces of Saudi Prince Faisal bin Fahd, snuck into the princess’s bedroom, grabbed a stash of jewellery and gems including a famous blue diamond, hid them in a vacuum cleaner bag, shipped them back to Thailand with DHL and then fled Saudi Arabia. Once back home in Lampang province in northern Thailand he found it difficult to dispose of the haul, and started selling individual items for just a handful of dollars. A jeweller, Santhi Sithanakan, got wind of what was happening and managed to buy most of the gems from Kriangkrai at a fraction of their value. By this time the Saudi royals had realised they’d been robbed and alerted the Thai authorities. A team of police led by Lieutenant-General Chalor Kerdthes quickly collared Kriangkrai, tracked down Santhi, and announced they had recovered the stolen loot. Kriangkrai was sentenced to seven years in jail; he served three before being released early because he had confessed to the crime. Chalor headed a delegation that flew to Saudi to return the haul to Prince Faisal. This was when things started to go badly wrong for the reputation of the Royal Thai Police and for Thai-Saudi relations. 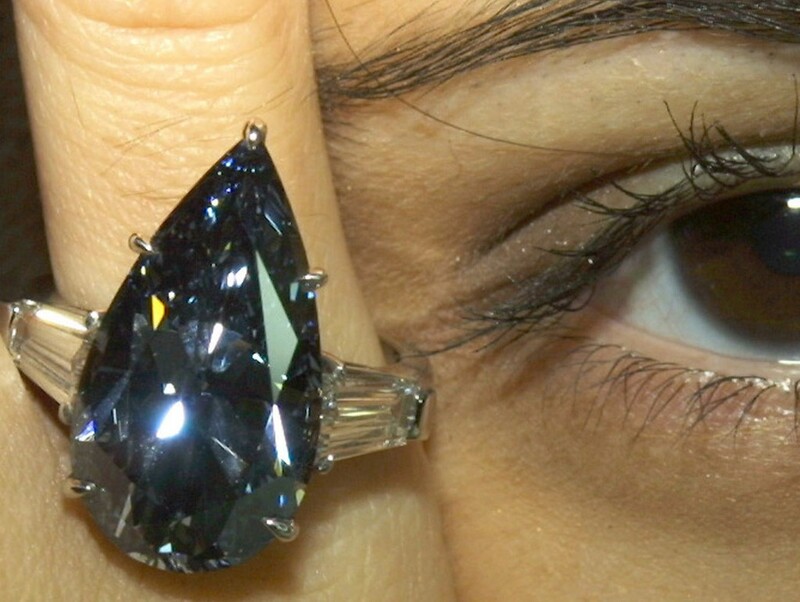 The Saudis quickly discovered that most of the returned gems were fake – the real jewels had been replaced by paste copies and the blue diamond was missing. Clearly mistrustful of the Thai police, the Saudis dispatched Mohammad al-Ruwaili, a businessman with close ties to the Saudi royals, to Bangkok to unravel the case. In February 1990, the curse claimed its first lives. The Saudi consul was shot dead in Bangkok, and minutes later two other Saudi embassy staff were also assassinated in a second attack. The same month, Ruwaili vanished, never to be seen again. He, too, is presumed to have been murdered. All four killings remain unsolved. The Saudis suspected Thai police of being involved in the murders. They downgraded diplomatic relations with Thailand and assigned a blunt-spoken charge d’affaires, Mohammed Said Khoja, to Bangkok to investigate. Khoja concluded that all four Saudis had discovered important information about what had happened to the gems and had been murdered to silence them. Rumours began circulating in Thailand that the wives of some of the country’s most powerful men had been seen wearing jewellery that resembled the missing Saudi gems. By now, the affair was seriously damaging Thailand’s economy. In 1991 Saudi Arabia cancelled the work permits of tens of thousands of Thai migrant workers, and stopped issuing working visas for Thai citizens. The number of Thai workers in Saudi Arabia dived from more than 150,000 in 1989 to less than 10,000. In August 1994, jeweller Santhi, widely believed to have been responsible for switching the real gems with fakes, was kidnapped and tortured on the orders of Lieutenant-General Chalor. Not long afterwards, the bodies of his wife and 14-year-old son were found in their wrecked Mercedes on a highway just outside Bangkok. Thai police forensic officers declared they had been killed in a road accident. It quickly became clear that the police were lying – the two victims had been murdered with blows to the head, and there had been a subsequent crude attempt to make their deaths appear to have been an accident. At that stage, the trail went dead. Santhi and Chalor would not reveal what they knew, strengthening widespread suspicions that the gems had ended up in the hands of very powerful figures who would go to any lengths to prevent the truth from getting out. Chalor remains behind bars, where he has reportedly formed a band and recorded a cover version of Elvis’s “Jailhouse Rock”. Relations between Thailand and Saudi Arabia remained strained, despite periodic efforts to resolve the row. Last year Thailand’s Department of Special Investigation suddenly announced it had enough evidence to charge “an Arab” called Abu Ali with the murder of one of the Saudi diplomats, and rather bafflingly also claimed that the blue diamond may never have existed. There are millions of people who call themselves Abu Ali in the Middle East – it is not even a real name, but rather a way to refer to a man who has named his son Ali. The DSI’s supposed breakthrough did nothing to placate the Saudis. 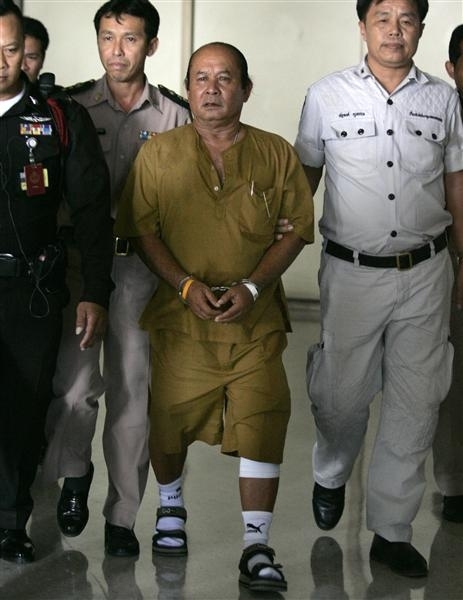 This year, with the 20-year statute of limitations about to expire, there appeared to be a genuine breakthrough – the Office of the Attorney General indicted a senior policeman, Lieutenant-General Somkid Boonthanom, chief of police for Thailand’s Region 5 which includes Chiang Mai, for the murder of Ruwaili. Four other policemen were also charged. All five are awaiting trial. The indictments appeared to be a small step towards improved Saudi-Thai relations. Until late last month when Thailand managed to score a spectacular diplomatic own goal with the announcement that Somkid had been promoted to the post of assistant national police chief. In light of these grave concerns, all current efforts and attempts by both countries to solve the pending issues directly affecting restoring bilateral relations may be seriously jeopardized. The police chief said he also would tell the Saudi diplomat that if it were any consolation, Somkid’s promotion had actually resulted in his having a lesser mandate, since a commissioner in charge of a police region is seen as more powerful than an assistant national police chief. Mr Nabil Ashri expressed his astonishment to the news published about the said meeting with H.E. the Prime Minister of Thailand which portrayed the Chargé d’Affairs as “ill-informed” and according to H.E. Mr. Abhisit, that he seemed to have “insufficient information about the matter” of the promotion of Pol. Lt. Gen. Somkid Boonthanom. Mr Nabil Ashri reiterated that his prime duty representing his government here is to follow up the progress of solving the pending cases of Saudi Arabia with the Thai Government, stating that in-fact he has obtained beforehand all relevant information related to the baffling promotion of one of the defendants in the case of the disappearance and murder of the Saudi Businessman. The Chargé d’Affairs was quoted as saying “I’m well-informed not ill-informed”. According to Mr Nabil Ashri Thai officials whom he had met so far, have each time presented a different version or referred to a different law trying to explain the issue to him. As the row escalated, concerns grew that Saudi could encourage other Muslim nations to downgrade ties with Thailand, or that the haj quota for Thai Muslims would be cut. Finally, today, Somkid announced that for the sake of relations with Saudi Arabia, he would not accept the promotion. But of course, the problems are very far from solved, and while Somkid’s decision to decline promotion has removed the immediate flashpoint, the affair has already done further damage to the troubled ties between the two countries, and has the potential to continue to bedevil Thailand’s relations with the Arab world. Police reforms elsewhere have generally succeeded only where a public-spirited and untainted political leadership forced them through. When will Thailand get that sort of leadership? Secondly, the bumbling efforts of senior government officials and even Abhisit himself to talk their way out of the mounting crisis followed a familiar pattern. Abhisit and his senior ministers repeated the same mantra usually employed by Thai officials in such situations – everything was fine, there was nothing to worry about, it was all a misunderstanding because those who criticised the government were not fully informed about the situation, due partly to the unique complexities of Thailand and its laws, and once things were explained to them the whole problem would be resolved. The promised explanation rarely materialises. Prime Minister Abhisit, Deputy Prime Minister Suthep Thaugsuban and Foreign Minister Kasit Piromya all have said they have explained the promotion of Pol Lt Gen Somkid to Mr Ashri. That has merely added to the intrigue. In fact, Mr Ashri has not received the official explanation which the three senior government officials promised, and told the Thai public had been sent. The excuse is that there are a lot of documents to be gathered. But that is not what the ministers told the country. This is a huge slap at the professionals at the Foreign Ministry. Already trying to deal with the Saudi diplomat, their efforts to meet the Saudi demands have been torpedoed by the politicians. And the government has either badly miscalculated the political fallout, or doesn’t care. Thirdly, and most worrying for those who hope Abhisit can lead Thailand towards reform and reconciliation, the latest chapter of the blue diamond saga demonstrates the degree to which he remains in thrall to corrupt but powerful vested interests. Whatever one thinks of Abhisit’s policies, he is no fool and he has a reputation for personal probity. But he holds on to power thanks to the support of highly questionable elements in the armed forces and police, as well as notorious politicians like Newin Chidchob whose party has been put in charge of three very lucrative ministries. For those wondering why Somkid was offered such a controversial promotion – even if it was in accordance with Thai regulations, which is open to question, it was clearly a move that the Saudis would see as hugely provocative – the fact that his his brother Somjate was a key member of the military and police faction that plotted the 2006 coup provides the likeliest answer. The two brothers also played an important role in providing evidence that led to the 2008 judicial dissolution of the pro-Thaksin People’s Power Party – the intervention that allowed Abhisit to form a government. Abhisit cannot have been unaware of the huge damage the promotion was doing to Thailand’s national interest, and despite having a first-class degree from Oxford University his attempts to explain the move were spectacularly underwhelming. And yet he clearly felt he had no choice but to defend the decision, until Somkid’s “sacrifice” got him off the hook. For now. In the longer run, the curse of the blue diamond continues to hang over Thailand. This is a story that is far from over.